Problem: You want to listen to music while you're riding your motorcycle or scooter. Problem: You want to listen to music while you're riding your motorcycle or scooter. Other problem: Wearing earbuds while riding a motorcycle or scooter is both dumb and dangerous. Solution to both problems: The JBL Cruise audio system. These weather-resistant, Bluetooth-enabled speaker pods mounts easily on most bikes using JBL's mirror integration mount. You'll get great sound and you'll stay in touch with your surroundings. And they look cool, too, which is also important, right? Designed specifically for two-wheeled vehicles, the Cruise lets you stream your tunes from any Bluetooth-enabled device. Each pod houses a heavy-duty JBL 2-1/2" speaker powered by 20 watts from the system's amplifier, so you'll hear your music with outstanding clarity. And the integrated USB port will even keep your smartphone charged while you ride. All this cool tech is wrapped in sleek, aerodynamic pods that can be painted to match your style. The Cruise is IPX5-rated for weather resistance and designed for easy control when you're wearing gloves. JBL's patent-pending mirror integration system makes installation a snap. 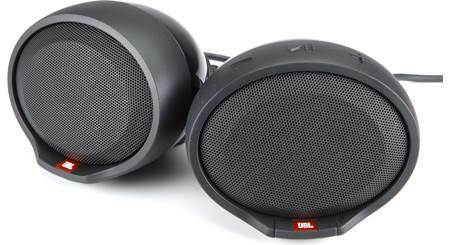 Note: The JBL Cruise audio system will only work with standard (right-handed) threaded mirrors. Great price on a great product and fast shipping . Can't get any better than that. I have a Yamaha vstar with one mirror having reverse thread bolts. Where can I get the adapter? 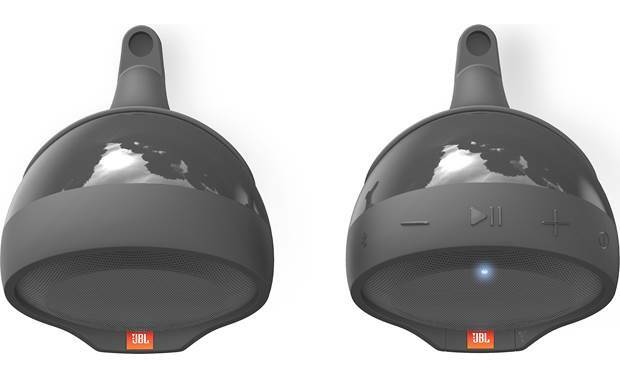 Overview: The JBL Cruise speaker system lets you stream audio from your Bluetooth connected device, and was developed specifically for motorcycle and scooter applications. 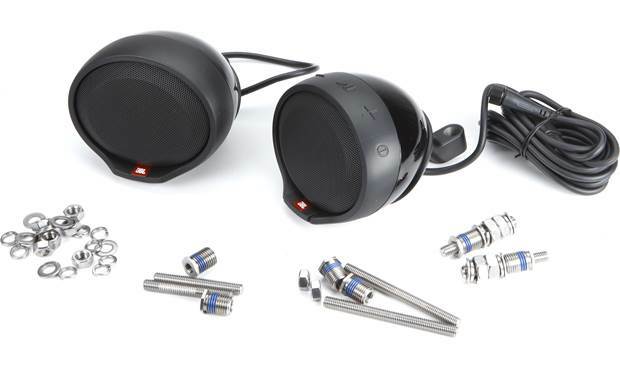 It includes two fully enclosed, weatherproof, speaker "pods", each with a 2-1/2" full-range driver, that are designed to be mounted in conjunction with the bike's existing mirror mounts. 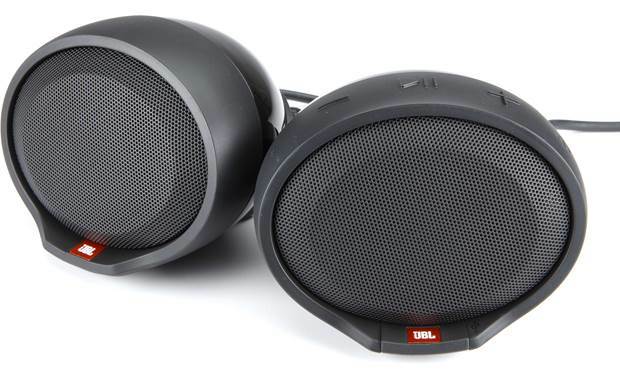 Speakers: The two JBL Cruise speakers are each comprised of a 2-1/2" driver powered by a built-in 20 watt digital amplifier. One speaker is equipped with large, rubberized control buttons for Bluetooth pairing, Play/Pause, Volume +/-, and Power, which are all designed to be easily accessed and operated, even when wearing gloves. 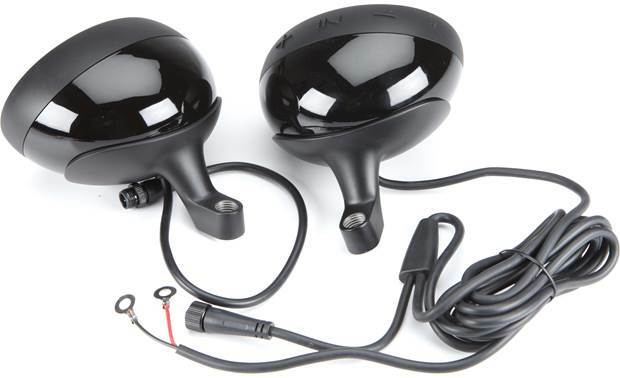 The Cruise speakers carry an IPX5 waterproof rating and can be painted to match the bike. Bluetooth: All audio playback from the Cruise speakers is via a Bluetooth connected device. Up to 2 phones can be paired to the system, but only one can be connected at a time. Bluetooth version is 3.0 and it supports A2DP V1.3 and AVRCP V1.4 playback. USB: A USB (type-A, 2.0) port is provided for charging your device while streaming. The port can provide 5V / 1A output and includes a protective rubber cap when not in use. Note: The USB port does not support audio playback. 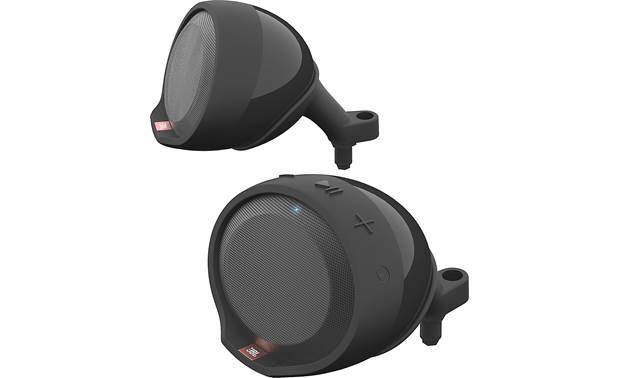 Mounting: The JBL Cruise speaker system is designed to integrate with your existing handlebar mirror-mounts. 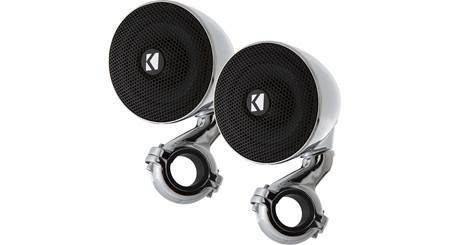 Three different sets of mounting hardware are included allowing the speakers to be mounted to just about any motorcycle or scooter. These include M10, M8, and Harley Davidson hardware kits. Note: The JBL Cruise mounting hardware will only work with standard (right-handed) threaded mirror mounts. Connection: One of the included Cruise speakers has an attached 8' wire harness for running to +12 volts and ground on the bike. This harness includes a Y-split for attaching the second speaker's 14" harness. All the provided wiring is encased in a heavy rubber loom with watertight connectors. Dimensions (each): Width - 4.75", Height - 4.0", Depth - 5.750"
Weight (each): approx. 1.5 lbs. 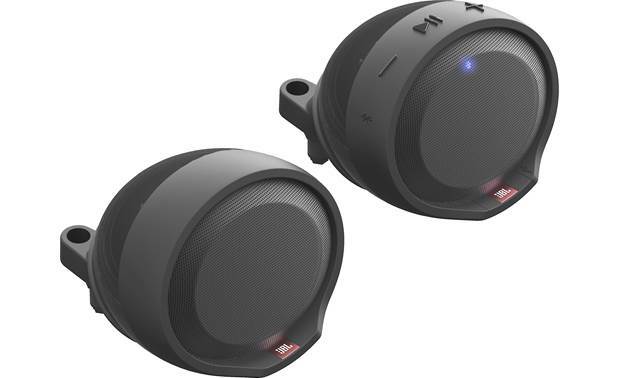 Searches related to the JBL CRUISEBLK Handlebar-mount Bluetooth® speaker pods for motorcycles and scooters.